Ensure that the drive belt tensioner is held with EN-955?E locking pin. 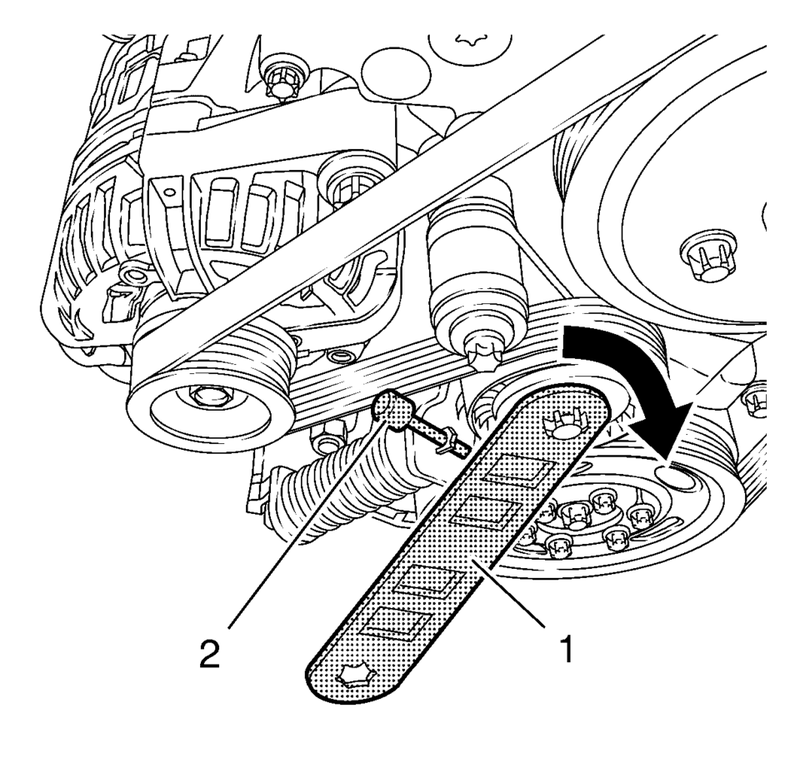 Move the drive belt tensioner clockwise until EN-955?E0 locking pin (2) can be removed. Use EN-48488 wrench (1). Remove EN-955?E0 locking pin (2) from the drive belt tensioner while holding with EN-48488 wrench (1). Release tension from drive belt tensioner and remove EN-48488 wrench (1).